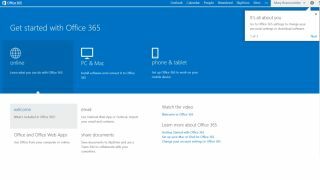 O2 is making Microsoft Office 365 available through its network in a bid to lure small and midsized businesses towards cloud computing. It is introducing a handful of subscription models for access to the software suite, claiming that the launch of its 4G service later in the year will make it a tempting offer to SMBs. The basic deal, for businesses with up to nine employees, includes business grade email, online web conferencing and support from an O2 Microsoft team and costs £3.90 per user per month plus VAT. One up is the Small Business Premium deal at £10.10 per month plus VAT, which adds the Office Professional Plus productivity tools and free assisted set up. The Midsize Business deal, aimed at firms with 10-250 employees, is at £9.80 per month plus VAT and includes Active Directory integration and Office Professional Plus. A recent Spiceworks survey showed that Office 365 now figures in the plans of 60% of UK SMBs, and is grabbing a growing share of the hosted email market with 30%.